Hu Shih (1891-1962), alias Shizhi, was a native of Jixi, Anhui Province. He spent his early years studying in the United States, first at Cornell University and then at Columbia University where he obtained his PhD under John Dewey. 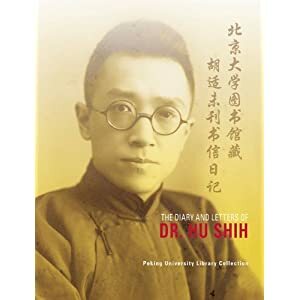 Upon returning to China in 1917, he worked as professor, head of English Department, and dean of the Faculty of Liberal Arts at Peking University. In 1938, he was appointed Chinese ambassador to the United States by the Nationalist Government. In 1946, he was appointed the chancellor of Peking University. He was dean of Taiwan Academia Sinica in his late years. Hu Shih's publications were compiled into Hu Shih Wen Cun (A Collection of Writings by Hu Shih). Today, Hu is widely recognized as the most influential scholar in the history of modern Chinese academic thought. He was a leading advocate for vernacular Chinese writings and poetry, Hong Lou Meng (Dream of the Red Chamber) studies, and the investigation of Chinese cultural and literary heritage.